Homepage - Kaminitz Law P.C. Seffi Kaminitz is a dedicated and experienced attorney who has been representing technology companies and investors in a wide range of corporate and commercial matters for over 15 years. Before founding Kaminitz Law, Seffi was a senior member at a large law firm. He led many transactions, including complex technology licensing deals, Venture Capital financing, and M&A transactions. Seffi represented companies such as AOL and Motorola and negotiated transactions with major VC funds, such as Sequoia Capital. Seffi developed a unique perspective on strategic business matters which combined legal perspective, business considerations, and technology. He is experienced working closely with serial entrepreneurs and investors, both at a law firm and as an in-house counsel at a VC firm. Seffi is admitted to practice in the State of California and the State of New York. Seffi is also admitted to practice in Israel; LL.M graduate of the University of Pennsylvania; LL.B College of Management Academic Studies in Israel. Jessica assists startup companies with technology transactions and corporate matters. Jessica graduated from UC Hastings College of the Law in 2017. While at Hastings, Jessica participated in the Startup Legal Garage where she advised early stage technology companies on transactional matters. She is admitted to practice in the State of California. Kevin focuses on helping startup clients with licensing transactions and corporate governance. 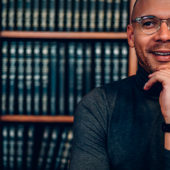 Kevin attended UC Hastings College of the Law, where he provided legal services to early stage technology companies through the school's Startup Legal Garage program. Kevin graduated in 2017. Prior to joining Kaminitz Law, Kevin advised entertainment production startups on corporate, operational, and intellectual property matters. He is admitted to practice in the State of California. Our clients include top-ranked venture-backed companies such as Qubole and Tipalti. We become a part of the company team, assisting in all matters, including software-as-a-service (SaaS) agreements, strategic initiatives, capital investments, and legal compliance. We offer personalized support and services based on client's needs and represent clients who are just starting their business to clients with an established and growing consumer base. We pride ourselves on our ability to be responsive and provide fast, thorough, and reliable service to all clients. Anjuna Runtime Security protects applications at runtime with a hardware-grade security perimeter. BigPanda offers the world’s first Autonomous Digital Operations Platform that intelligently automates IT incidents. Powered by Open Box Machine Learning technology, BigPanda helps your IT Ops team handle more incidents, respond more quickly, and dramatically improve on key metrics such as MTTD, MTTA and MTTR. Continuous delivery and automation platform for Docker. Instantly build, test, deploy and gather feedback on apps. Gong.io helps your sales team generate more revenue by having better customer-facing conversations. Record, transcribe, analyze. Maxta software-centric hyperconvergence offers unparalleled choice of servers, storage and virtualization for greater simplicity, agility and cost efficiency. Neura is an Artificial Intelligence (AI) platform company that enables companies to reach their customers at precise, meaningful moments across mobile apps and Internet of Things (IoT) devices. A cloud-based animation platform that provides everything you need to produce and create animated content. OverOps tells companies when, where and why code breaks in production. Automated Root Cause (ARC) analysis reduces time to identify and fix critical production application errors by over 90%. RMDY operates as a provider of turnkey digital therapeutics solutions. Re-imagining talent acquisition for the enterprise. RolePoint is building software that is changing the way talent is sourced. Silo is a platform for professional helpful communities. TripActions is a travel management company for businesses and business travelers. unGlue helps kids better manage their time on connected devices. Kaminitz Law focuses on servicing technology based startup companies with a wide array of technology transactions and corporate matters. We offer conscientious and cost effective solutions to meet our client’s unique needs while still maintaining industry and venture capitalist standards. Why Should You Incorporate in Delaware? Need legal advice? We’re here to help.